You are here: Home / Aquarius in Love / How Do You Know If An Aquarius Girl Likes You? Aquarius is the eleventh sign among all 12 Zodiac signs. It includes those whose dates of birth are between January 20 and February 18. 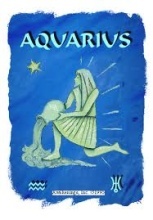 The symbol of Aquarius is the Water Bearer – a person who is carrying a bucket of water. 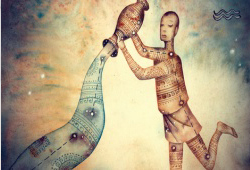 It is the proof of Aquarius’ willingness: freely share advice and wisdom with anyone needs it. 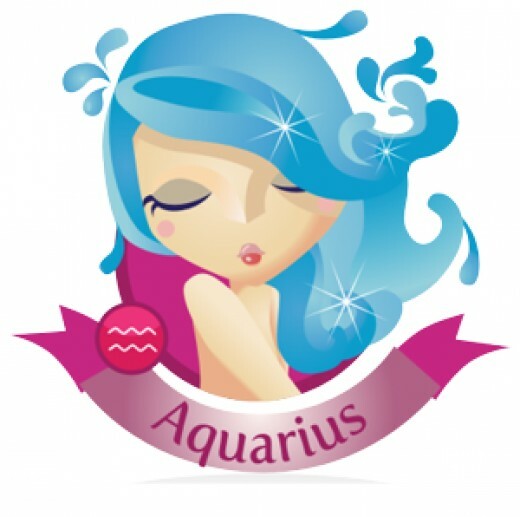 Under Aquarius female characteristics, the Aquarius woman is quirky, unpredictable and independent. Even if she realizes that she fell in love with you, she will not want to admit it. She will try to avoid you. Luckily, she may continue to talk to you, but she may start to be shy around you now. An Aquarius woman does not fall in love easily. In contrast, it takes her some time trusting someone and connecting emotionally. In that case, how do you know if an Aquarius girl likes you? There are some clues that may show you about that. It is happy to hear that Aquarius women rarely date someone in whom they are not interested. If your Aquarius keeps seeing you after the first date, it can be said that maybe she starts falling in love with you. Aquarians are the scientists of the zodiac. They are intelligent, obviously. They always question rather than just accepting them at face value. Therefore, an Aquarius girl often tends to talk a lot with the man she likes. She uses communication as a method to understand her future lover as well as to have a deeper look about him. Talk to her, show her with your intelligence, and you will see how fast your relationship goes on. Well, Aquarius woman in love will naturally remember little details about you and utilize every trick she knows to attract your affections. She is likely to devote herself completely once she is sure of her feelings for you. She will provide you sources of pleasure that you never knew existed. Thus, if an Aquarius girl treats you well, take your chance in case you love her too. Generally speaking, despite the fact that how quirky, eccentric, and bohemian an Aquarius girl is, she still a lovely woman when she is in love. Be nice with her if you love her too. Finally, remember to give her more time and space to breathe and do whatever she wants. She will love you ever after when receiving from you the most important thing to her – freedom. But, interestingly, if an Aquarius woman unconditionally sacrifices her valuable free time for you, it’s pretty sure that she is in love with you. This lady never takes love lightly, especially if she finds her Mr. Right. She won’t hesitate to follow her sentiments when she truly falls in love. However, to other few female Aquarians, the unaware fear of losing their distinctive personality sometimes prevents them from accepting their feelings. If you are looking for a stable, secure relationship, then Aquarius is definitely NOT the best partner for you. She is an exciting, unpredictable woman who always craves for adventures in life. A relationship with no emotional challenges will soon make her bored and want to escape. In addition, she doesn’t like the idea of being tied down – this explains why she is only in relationships in which she has the freedom to pursue her dreams and do whatever she likes. In the zodiac, Aquarius is seen as the most “out-of-control” sign. Similarly, the woman born under Aquarius is considered as independent weirdos, compared to others. She is creative, unique, unpredictable and sometimes uncontrollable. Due to her rebellious nature, nothing can really hold her down. Well, she even becomes stubborn if not being able to follow her instincts. When it comes to dating a female Aquarius, it is awesomely interesting. She expects excitement, changes and new experiences every single time. If you keep taking her to the same place in several dates, for example, she will find you boring and tedious. Preparation is the key once getting involved with an Aquarius. Check out the below the Aquarius Woman Personality before dating this fickle lady. She is intellectual, deep thinkers so those with shallow, narrow-minded thoughts are certainly not her choice. If you want to win Aquarius heart, then you must have open-minded personality, make intellectual conversation, as well as give her deep questions. Very independent, she expects her date to respect her “me time“. She loves her free time and usually spends it alone to do anything she yearns for. Don’t take this as a sign of disrelish; actually, it is her nature. 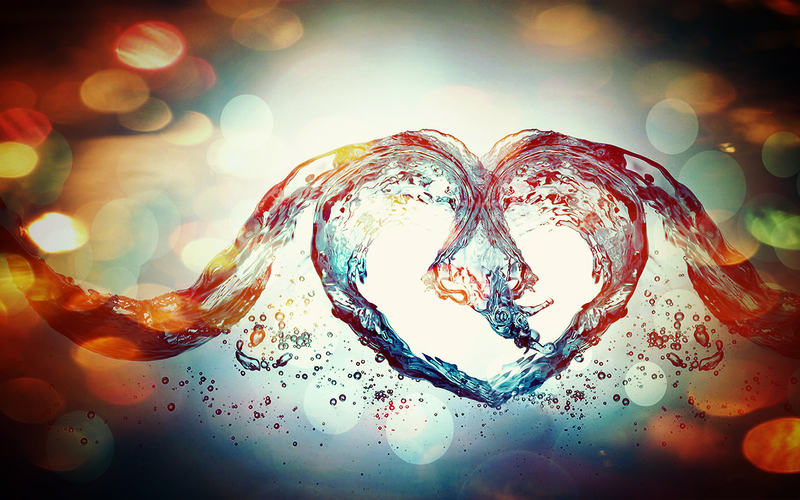 For a successful relationship with Aquarius woman, you should acknowledge it, not against. People often see her as emotionless and cold; however, she, otherwise, has a gigantic heart. The thing is that the way she acts is backed up by not only her heart but also her intellect, making her emotionally detached sometimes. You cannot date this woman unless you are a smart, intelligent and witty person. She is easily attracted to the man who has a wide knowledge on various topics and can stimulate her brain- thinking. 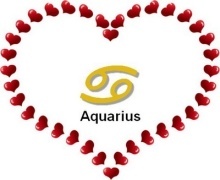 Aquarius woman, unlike Capricorn, is not the traditional type and of course does not look for a traditional lover. She is instead full of charms and extraordinarily attractive. When it comes to love, she does not have a certain ideal type. Very outgoing, she will offer a fair chance to different men. This lady will date all types as she love new experiences, giving her chances to find out the one that can keep up with her thinking. She is definitely not the girlfriend that loves clinging to you or depending to you most of the time. Aquarius ideal date must have an intimate atmosphere – she would love to learn more about you and the way you think about things, on a deep emotional level. Your Aquarius date only opens up once she fully trust you. Although she has a large social cycle and is often the love mentor for her friends, not many people know about her private life. She finds it difficult to open comfortably in front of her partner or in a new relationship – this somewhat explains her disappearing acts. Show your consideration for her need of security and respect her own secrets; otherwise, she will completely cut you off. What makes Aquarius girl the best partner that every man should have in life? Not only her unpredictable, liberal nature, but also her humane outlook as well as her kindness, knowledge for things on the world are what people admire for. There is a saying, “If you love something then let it go, it is yours when it comes back” – this is surely talking about being in love with an Aquarius. Loving her means giving her more freedom…she will appreciate you at first. But over time, she tends to spend much time with the person she truly loves. Don’t be shy to figure out more traits reflecting the topic “How Do You Know If An Aquarius Girl Likes You?” by filling the box since we’re glad to serve you all. I am really falling for her, she is so cool and has a very outgoing personality but i am having a hard time figuring out if she really likes me. Thanks for such helpful info, Alexis! Thanks for sharing your opinions, Aqua! Aquarius women take forever to fall in love. Emotions, relationships, commitment etc are not at the forefront out her mind & not something she is exactly comfortable with. She likes to build a strong friendship foundation first before entering into a relationship. Give her time & space, and be her friend firstly. Oh yeah, I am a Scorpio by the way. I know our signs say we arent a good match, but you never know right? In my opinion; Scorpios have “air of mystery” around them, play that. Aquarians have a need to “know” everything, and if they feel like they don’t know something, it drives them crazy. Also, unless she shows clear intent that she wants to take it fast, the best way to charm your way into her heart would be to become her friend, someone reliable who won’t get emotional easily. Aquarius women aren’t good at expressing their feelings but they will usually make an effort to talk to you more so then other people. They will look at you when you aren’t looking, teasingly touch you, laugh alot or even in rare cases act out in front of you more so then around other people. I would like to share my thoughts on Aquarius women, Mystical and mind blowing, I have dated many Aquarian women and currently dating a wonderful Aquarius women, patients and understanding is really the key, before we dated, I was friendly towards her and finally had the guts to ask for her phone number and she told me she didn’t give out her phone number, I replied okay and smiled, I would suspect most guys would say “forget her”. I was a little shocked, but I continued to be nice to her, I would find out later that continuing to be friendly towards her and not stop talking to her was what attracted her to me, I was surprised when she started flirting with me, I kind of backed off because, she rejected me before, she asked me for my phone number and I actually hesitated, I did give it to her and of coarse never expected to hear from her. regardless of what zodiac sign they are, you will never know unless you take a chance. we have been together over a year and it’s been the most challenging and rewarding relationship that I’ve ever been involved with and I would do it all over again, it’s been a rollercoaster and a dream, I give her plenty of space for her “Me time” and in return have gotten use to my “Me time ” I have learned to evolve and also be mystical to her, being respectful and having tons of patients will get you a long way, I am a Aries male. good luck!! Your story helps us learn more about Aquarius women…I appreciate that!